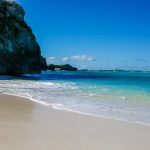 SPOTLIGHT ON POWERFUL GREEN LAUNDRY CLEANING: Do you take special care to ensure that the cleaning products you use in your home aren’t full of chemicals? 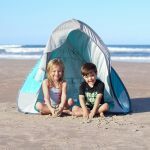 For families that do, you often find yourself between a rock and a hard place when it comes to laundry products. 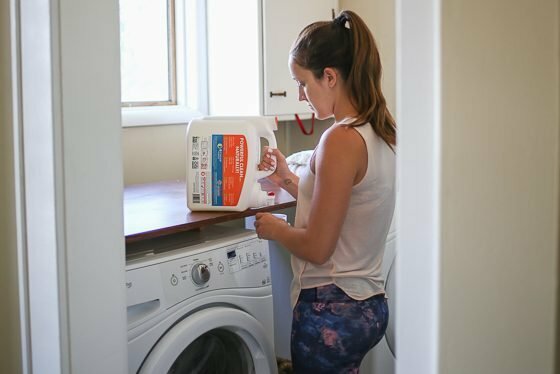 You NEED a detergent that cuts through stains as well if not better than traditional cleaners but you want to avoid the “laundry list” of dangerous chemicals that come along with it. 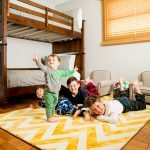 What if we told you that we have found a cleaner that cleans as well, if not better than traditional cleaners but doesn’t contain harsh chemicals and is safe for kids, pets and the environment? Well, Boulder Cleaners Detergents does all that, plus more. If you have little kids (or even older kids) running around, you know the importance of finding laundry detergent that really does its job. 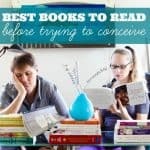 Even the littlest kids make the biggest of messes. Oftentimes, clothes are full of dirt stains, food stains and those stains where you aren’t sure that you even want to identify the culprit. Children’s clothes certainly take a beating! And it’s not just their clothes that turn up having conspicuous stains. 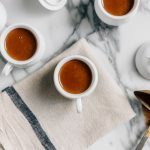 How about that cup of coffee you spilled on your blouse at the office on that exhausted Monday morning? Or the grease stains on your partners “yard work” pants? Powerful laundry cleaning supplies are a necessity in any busy household. 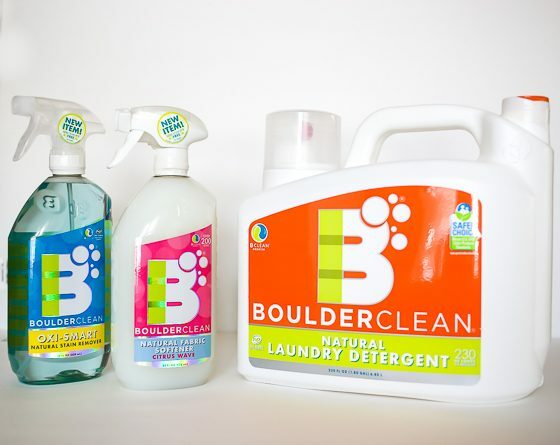 Boulder Cleaners is a brand of National Eco Wholesale (NEW). 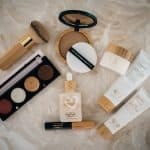 NEW is a company that is working to bring high quality yet still natural and sustainable home products into the most toxic of industries. 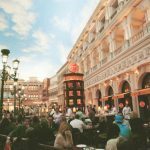 Their products have stood the test of time and have been developed and improved since 1993. They have been pioneers in the green clean market. One of their key focuses is ensuring that their natural products are free of toxins and still actually WORK! 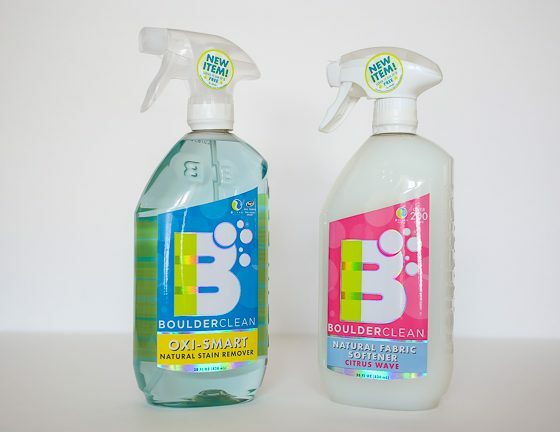 Boulder Cleaners products are made in Colorado and both the product and the company itself are committed to sustainability. They run a zero-waste facility whose energy is run by a PV solar array. 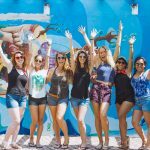 All of this in addition to making the most AMAZING natural laundry products! The mission? Finding a cleaner that was free of phthalates, synthetic fragrances, SLS (sodium laurel sulfate) and EGBE (Ethylene glycol butyl) free. The result? We are happy to report that we have found the cream of the crop, the perfect high performance cleaners: Boulder Cleaners. 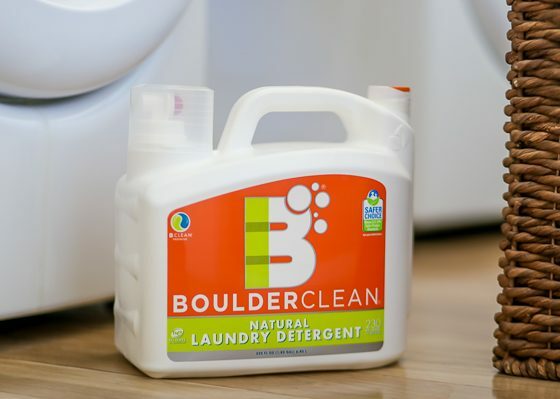 Boulder Cleaners offers a liquid laundry detergent that will leave your clothes smelling fresh and clean while still being gentle on both your clothing and the planet. 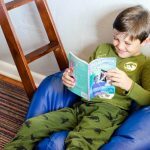 The primary concern when searching for a more natural laundry detergent is finding a product that really works for soiled clothing, heavy stains and the many messes that appear on clothing in the typical day of a child. Boulder does just that. It will rinse your clothing clean, is tough on stains, will not leave residue on your clothing and is perfectly safe for colors. The formula is also biodegradable, 2x concentrated, natural derived, suitable for both HE and standard machines and safe for septic systems. 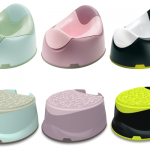 Wondering what CITRI-LIFT™ means? 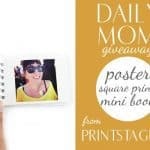 So were we here at Daily Mom. Well, we were pleased to learn and experience that it is a triple action powerful cleaning system that lifts tough stains. It features orange oil to help cut through greasy stains as well as enzymes to remove even the toughest of stains. Also, it contains suspending agents that send soil down the drain. 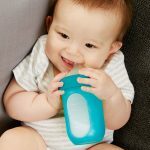 Looking to reduce your waste? Consider ditching your dryer sheets for a Fabric Softener Spray. Once you try it, you will be hooked! Nobody wants to wear wrinkly, clingy clothing. Boulder® Clean Fabric Softener Dryer Spray will leave your clothes both soft and fresh – no extra trash required. Their formula not only helps to remove static but also is heat activated, non-yellowing, biodegradable, plant-based and has a pleasant citrus wave fragrance. Softening your clothes while providing them with an amazing scent has never been easier! 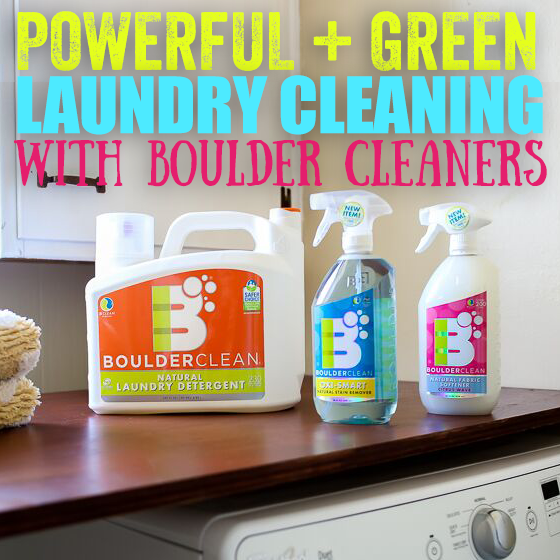 When you are looking for naturally derived laundry detergent that is safe for the whole family, look no further then Boulder Cleaners.